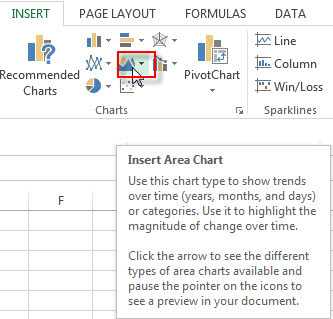 This post will explain that how to create a basic Area Chart in your current worksheet based on the specified data points in Excel. 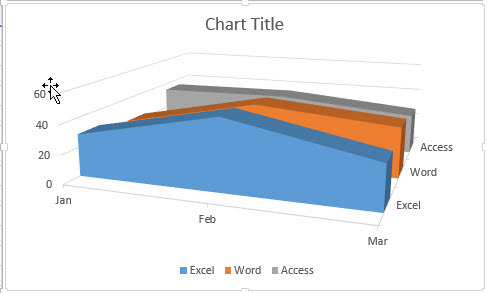 The Area Chart is used to show trends over time (years, months, and days) or categories. So you can use this chart type to highlight the magnitude of change over time. 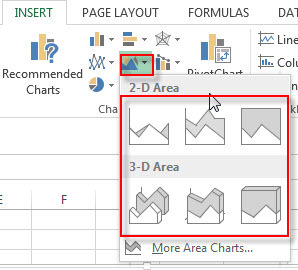 2# go to Insert Tab, Click Insert Area Chart button under Charts group.